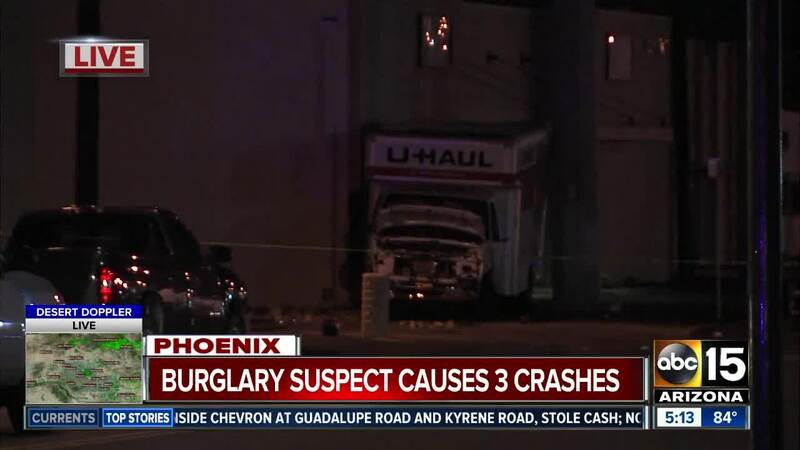 Phoenix police say a pedestrian has died after being struck by a fleeing burglary suspect in a U-Haul truck. The incident took place around 2:30 a.m. Wednesday near 31st Avenue and Osborn Road. Police say they received a call of a burglary alarm at a phone store near 35th Avenue and Thomas Road. 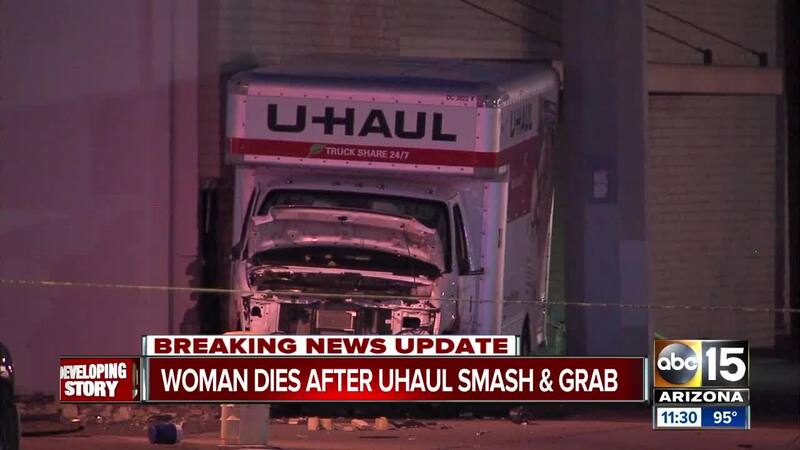 The suspect fled the scene in a stolen U-Haul truck, hitting a police car in the process. 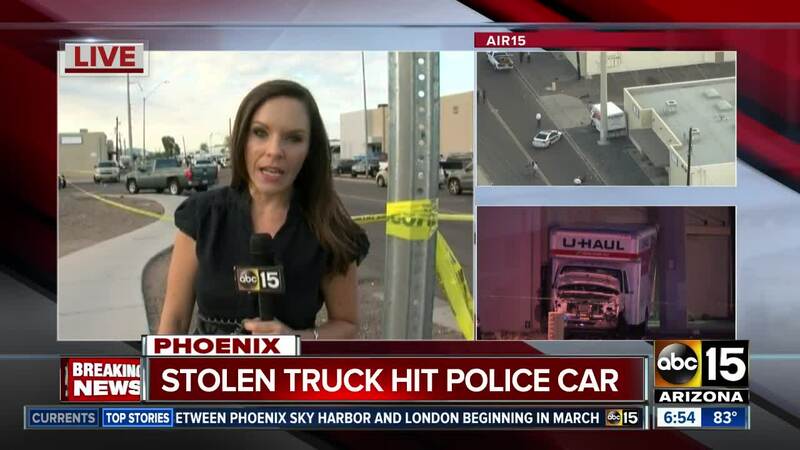 The truck then hit a semi truck after continuing northbound on 31st Avenue before hitting a pedestrian. The pedestrian, 45-year-old Dawn Bestenlehner, suffered serious injuries and was taken to the hospital where she died from her injuries. Bestenlehner's son said, "I always thought she'd go while doing something crazy, or just live out her life and die of old age. Not from some idiot who decided to steal cellphone parts. What was he going to do with them? It doesn't even make sense to me." Bestenlehner's family has set up a fundraiser to help pay for funeral costs. To help, you can send more via Venmo to @weloveyoudawn or by going to Wells Fargo and asking to donate to the Dawn Michelle Bestenlehner memorial fund. 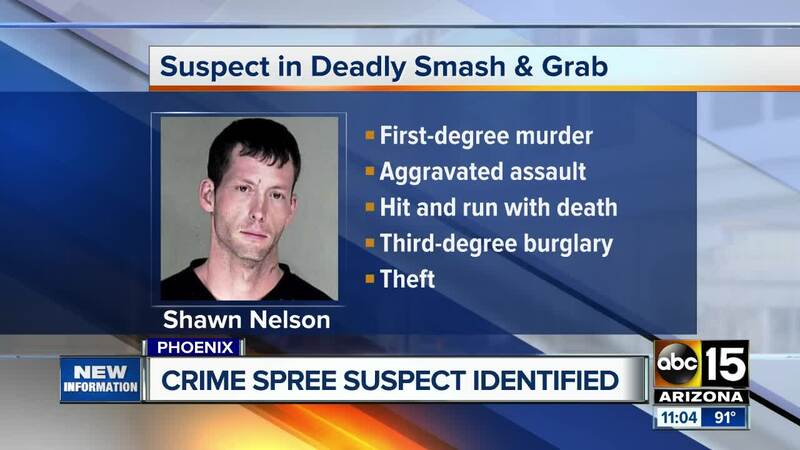 Police say the suspect, identified as 39-year-old Shawn Nelson, was taken into custody a short distance away. He was also taken to the hospital to be checked out for minor injuries before being booked into jail. Officials say Nelson was booked on charges of first-degree murder, leaving the scene of a deadly crash, unlawful flight from police, aggravated assault, burglary, drug possession and others.